Last week, we let you know about the world’s largest LEGO ship. 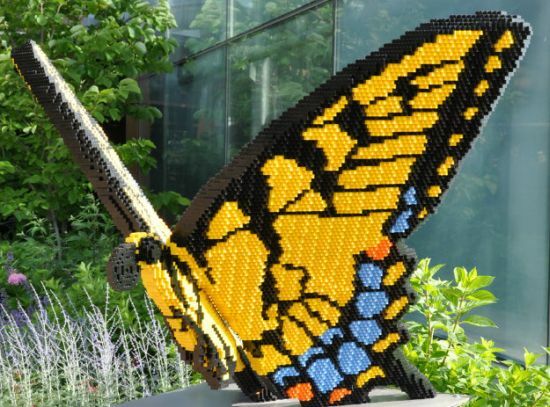 Now it’s time to head over to the Nature Connects exhibit at the Reiman Gardens, in the University of Iowa, where visitors can see around 14 LEGO sculptures, from April 14 through October 28, 2012. 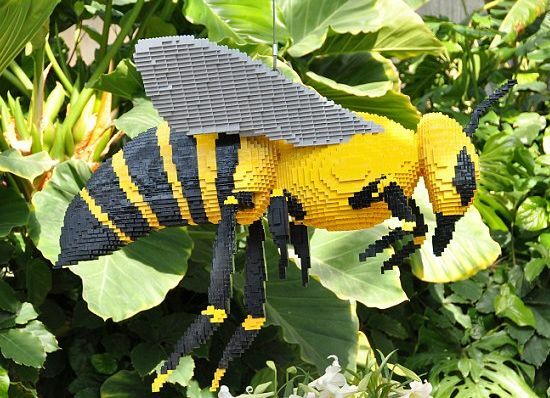 NY based master LEGO artist and sculptor Sean Kenney has created these six inches high to eight-feet long sculptures. Made from about 500,000 LEGO bricks, these sculptures are the outcome of combined efforts of Keeney and his team of assistants. Keeney and co-creators glued LEGO bricks together and supported them by steel frames to create these masterpieces. 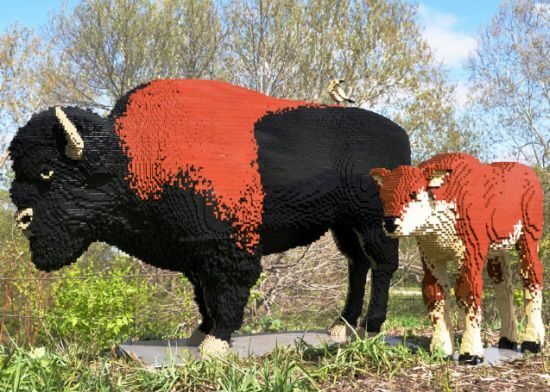 The largest sculpture, a mother bison involves the use of 45,143 LEGO bricks. The bison and calf sculpture is a powerful statement on how interconnectedness results in annihilation of one species. On the contrary, the fox and the rabbit sculpture goes on to signify the importance of food chain. Aside from being the world’s first professional LEGO artist, Keeney is a LEGO Certified Builder and the owner of MOCpages.com too. Earlier he has created the world’s biggest LEGO sculpture, a polar bear from 95,000 pieces.